Flowmaster delivers the next step in attaining maximum performance & efficiency for your 2018 Jeep JL ( 2 &4 door) 3.6L engine vehicle. 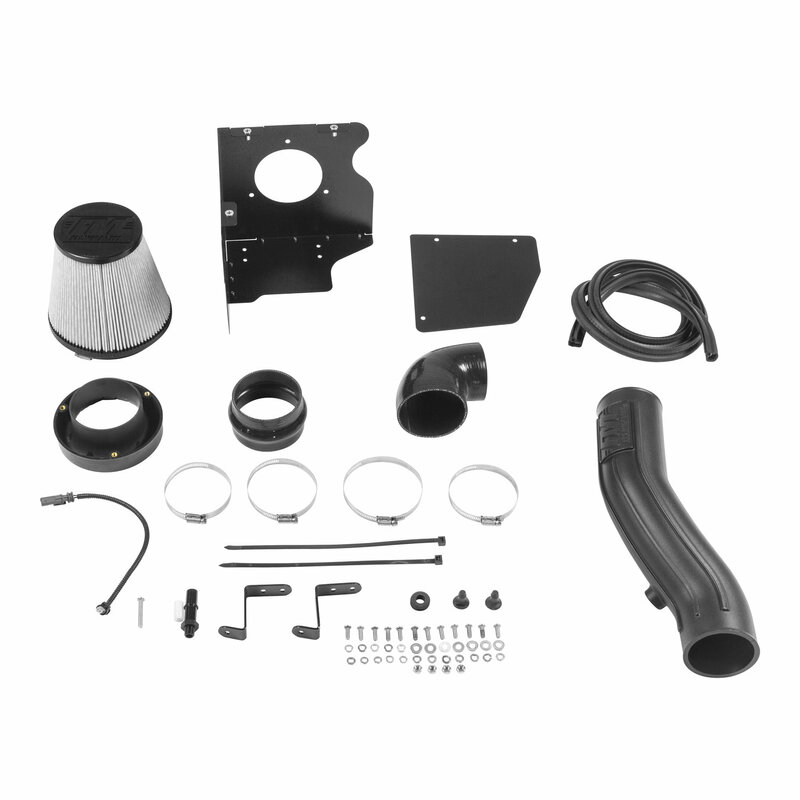 Introducing Flowmaster’s Delta Force Cold Air Intake systems now available with a Dry Synthetic Media filter and an included pre-filter wrap to help protect from excess dirt particles and extend the filter life. 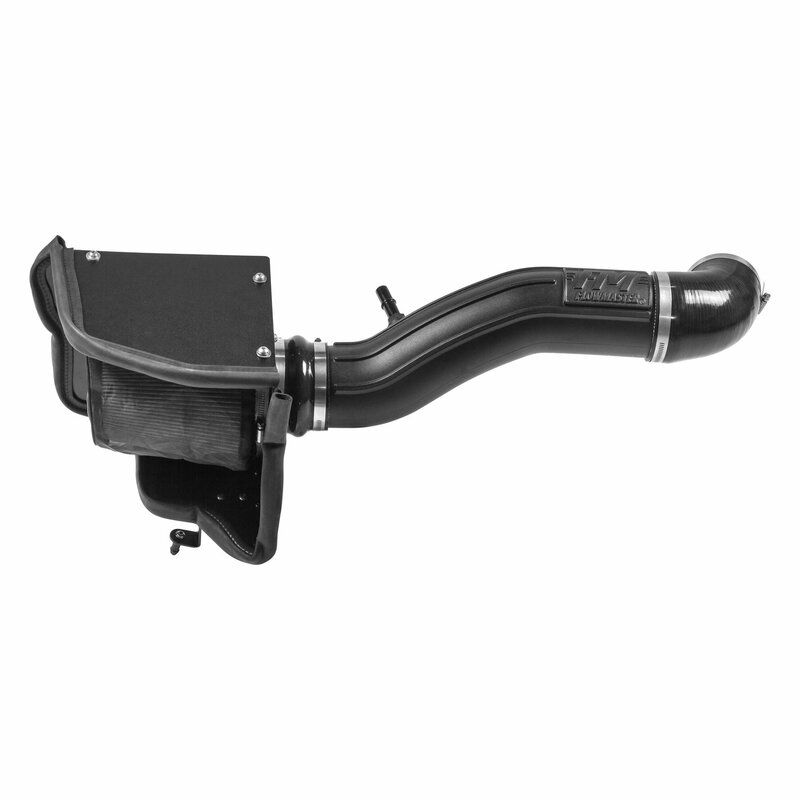 This system also includes a custom designed black powder-coated air dam with attachment brackets to securely mount the system in place and soft bumpers to eliminate any metal to metal contact under the hood. 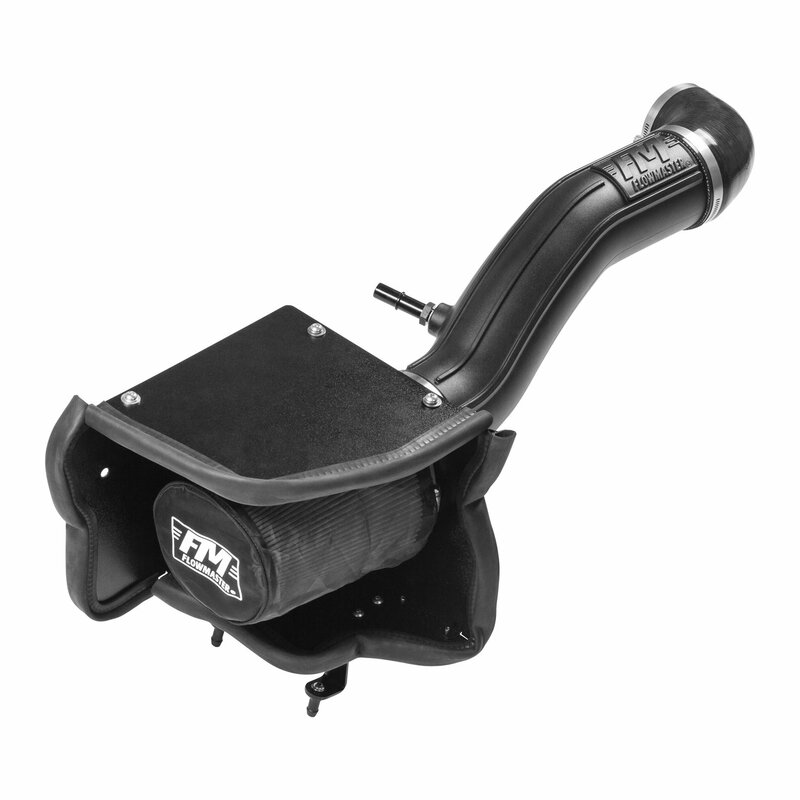 A high quality molded intake tube is designed to dramatically reduce intake restriction as they smooth and straighten air flow. This allows your vehicle's engine to inhale a larger volume of air than the OEM air filter assembly. All stainless steel hardware is included along with Flowmasters Lifetime Limited Warranty protecting your investment. For maximum performance, mileage and for an iconic exhaust note, we highly recommend pairing your new Delta Force Cold Air Intake with a Flowmaster Exhaust System. Delta Force Cold Air Intakes are NOT Legal for Use or For Sale in the State of California. Made in USA.